A community musical is to be staged at the Lichfield Garrick theatre for the very first time this summer. A cast of local actors, singers and other amateur performers successfully came through auditions held at the Garrick theatre over recent weeks to win the chance to appear on stage alongside the theatre's professional production team from Friday 29 July to Saturday 6 August. 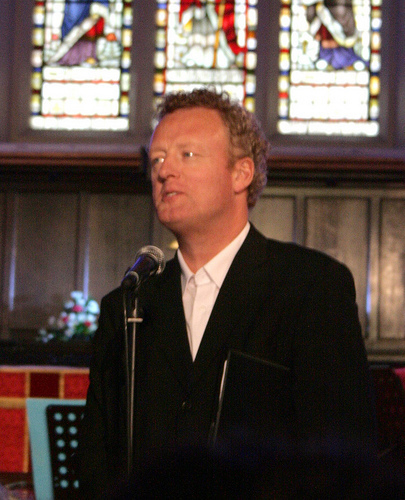 Together they will be performing The Hired Man, a 1969 novel by broadcaster Melvyn Bragg which was later made into an award-winning musical by Bragg and award-winning composer Howard Goodall, whose work ranges from West End musicals such as Bend It Like Beckham and Love Story, to film and TV scores which include the themes for the likes of Blackadder, Mr Bean and QI. 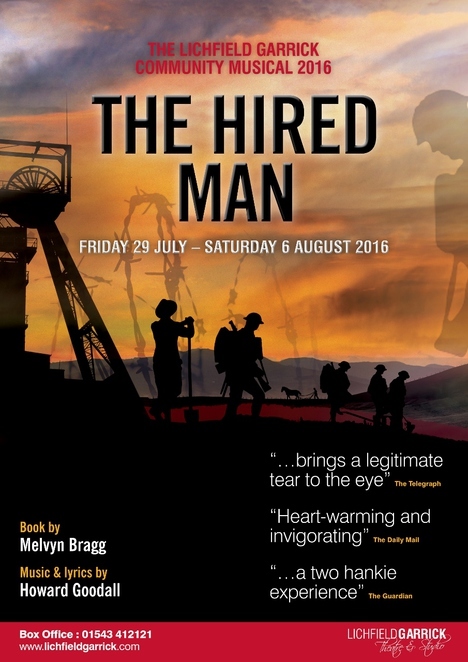 The Hired Man, directed by the Lichfield Garrick's own artistic director Tim Ford, is the first part of Melvyn Bragg's Cumbrian Trilogy. The story runs from the 1890s to the 1920s, including the bloody First World War. 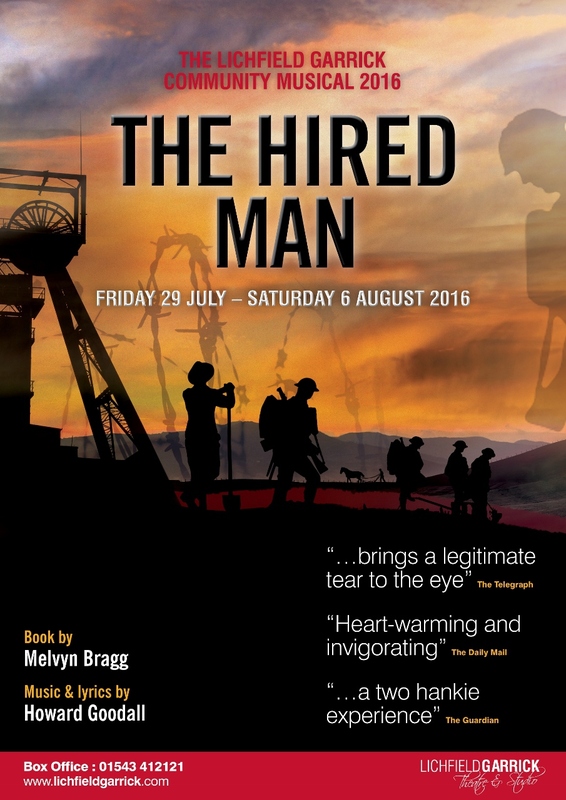 Set against the backdrop of the Cumbrian Lakes, The Hired Man deals with the life of farm labourer and coal miner John Tallentire and follows the story of a young married couple and their struggle to carve a living from the land, just as war begins to loom in Europe. In what is hoped to become an annual fixture, Lichfield Garrick's first ever community festival cast its net across the region for local talent wanting to join the professional cast of performers, And also joining the 50 strong cast on stage will be Teddy, a six year old retired racing greyhound. Teddy, whose racing name was Greencroft Bell, is owned by Sharan Elsdon from Lichfield, who is a lead volunteer at The Hall Green Retired Greyhound Trust, a charity committed to finding homes for former racing greyhounds. Sharan said: "I thought the bright lights and the hustle and bustle of the theatre might unsettle Teddy, but she has taken to it like a duck to water. She's a true thespian and it never ceases to amaze me how adaptable, calm and collected greyhounds are." 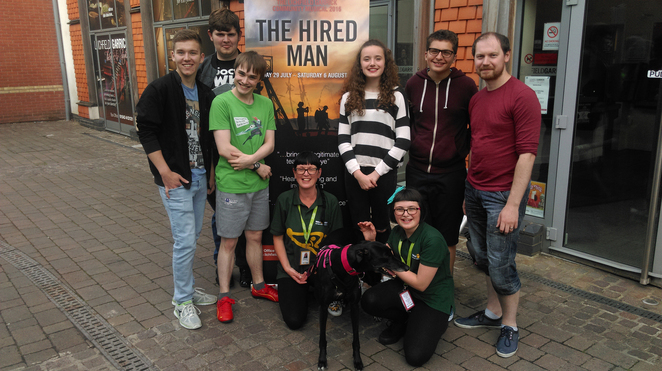 The Hired Man runs at the Lichfield Garrick from 29 July to 6 August with performances starting at 7.30pm each evening plus a 2.30pm matinee on Saturdays. Tickets cost from £10 to £15, and can be booked online or by calling the Box Office on 01543 412121.